Nominated for eleven Academy Awards, Milos Forman’s masterpiece AMADEUS has a list of accolades far too long to list here. 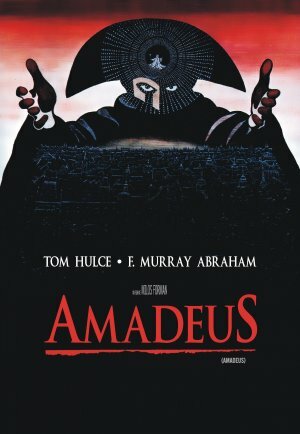 Based on the stage play by Peter Shaffer, AMADEUS tells the tale of Salieri, a famous composer who is tormented and ultimately goes mad because of his jealousy of the infinitely more talented Mozart. His utter mediocrity when compared to Mozart is too much to bear, and Salieri hatches a plan to kill the brilliant composer. To celebrate the music of Mozart, this screening will include an introduction and intermission concert performed by the musicians of PKW Productions. Each piece featured will either be written by or inspired by Mozart. For this special music and movie presentation, we’ve included all the trappings of a classical music concert, without any of the stuffiness.